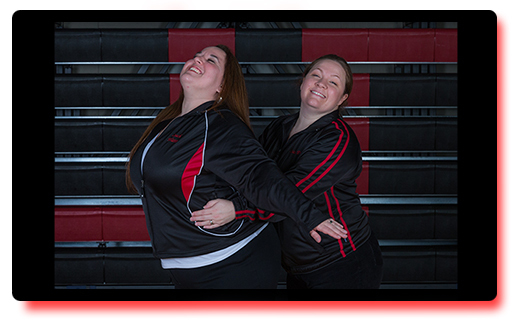 Kayla Price (Head Coach) started dancing with Janice D. Holst at the age of 3. She studied ballet, tap and jazz for 12 years before joining the JDHS Dance Team. Kayla was a 3 years dance team member and Captain her junior year. She competed with the team in Orlando, FL in 1999 and 2000. She also competed with the University of Oregon Dance Team at college nationals. This is Kayla's 9th year coaching. She was an Assistant Coach for 4 years and Head Coach 2007-08/2015-16/2016-17/2017-18 seasons. She is happily married to Daniel Price and has four young children. Jodi Watts (Assistant Coach) was born and raised in Juneau, Alaska. She is happily married to Nate Watts and is the proud mother of three beautiful daughters; Kylee, Emilee, and Hannah. Jodi’s interest in dance began at the age of 4, including; ballet, tap and jazz. Jodi was a four year-member of the JDHS Drill Team, 1993 - 1997. During those years she competed on JDHS’s National Championship team in California and on the JDHS International Championship team in Japan, where the team placed first in all 3 of the categories in which they competed. 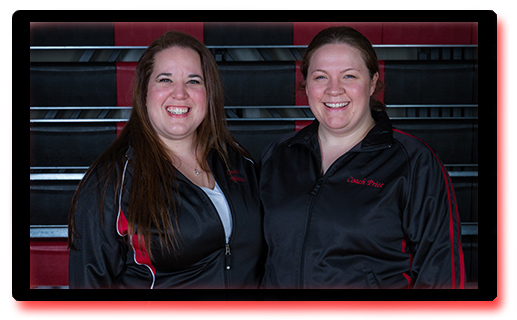 Jodi has also coached the Dad’s Drill Team for the last 7 years. Studio Photos courtesy of Phil Loseby.